There is an asteroid that’s going to be passing by Earth today and it just so happens a random meteor plummeted to Russia. Apparently windows got blown out from this! Good thing there aren’t any recorded fatalities but still more than 500 are injured. 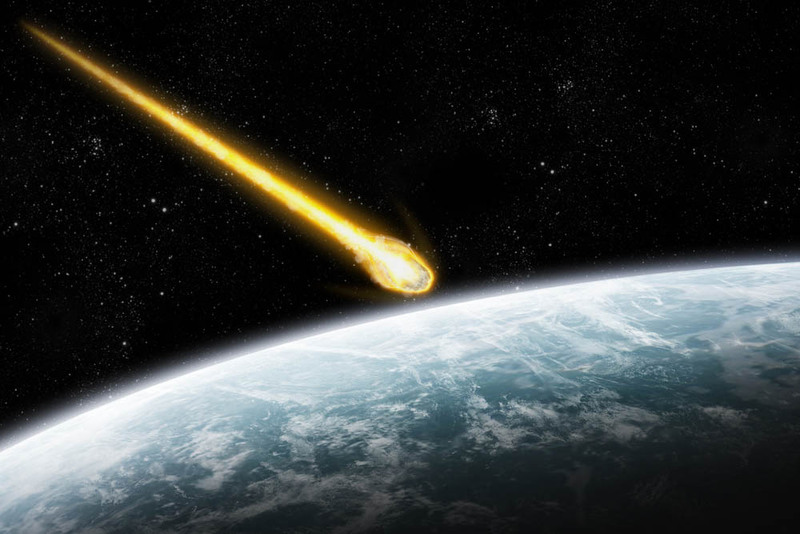 Local residents and astronomers were taken by surprise because they didn’t expect this piece of rock to hit. For the last 10 years there has been many programs dedicated to finding the objects whose trajectory lines up with our planet, but sometimes some whiz right by surprising everyone. There are lots of space agencies working to track meteors, comets and asteroids classified as Near-Earth Objects. NASA’s NEO program hopes to spot at least 90% of the estimated 1000 asteroids and comets larger than 1 kilometre on track to approach Earth. The problem is that even if that upper 90% is spotted there are 10% that will fly by undetected. Here’s to hoping they don’t miss another one that breaches our atmosphere. The asteroid that is expected to streak by Earth is known as Asteroid 2012 DA14 and has been followed for months now. It is reported to be a complete coincidence that this asteroid is to pass by today and a rogue meteor flew by on the same day. “This is rare. There hasn’t been one like this in a long time,” says Randy Attwood, the senior editor of SpaceRef.ca. Luckily even though meteor material rains down on our planet daily most of it is dust and happens in uninhabited areas. “I suspect this one was the size of an SUV,” Attwood said. “It’s not huge, but as it hit the atmosphere going tens of kilometres a second, it created an enormous shock wave.” The meteor would have been travelling much faster than the speed of sound, Attwood says, so it created a sonic boom that caused windows to shatter. It just happens to be that the last major meteor to hit a populated area was also in Russia in 1908. This meteor was called the “Tunguska event” and leveled trees across a 100 kilometre range without harming anyone. It was about 30-40 metres wideand considered to be the largest impact event in recorded history on Earth. Astronomers will be analyzing the composition of today’s meteor to learn more about it’s origins among other scientific research.